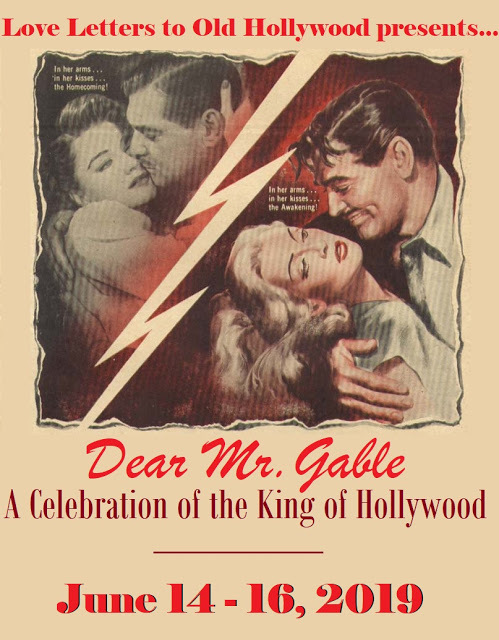 In the history of Hollywood, there have often been actors and actresses wh, at the end of their carrers, often took less than stellar roles in less than auspicious films, probably just to help pay the bills. Basil Rathbone, for instance, a phenomenal star who was best remembered for being THE Sherlock Holmes in his early career, made two (if not more) sub par movies at the end of his career (Voyage to the Prehistoric Planet and Hillbillies in a Haunted House). 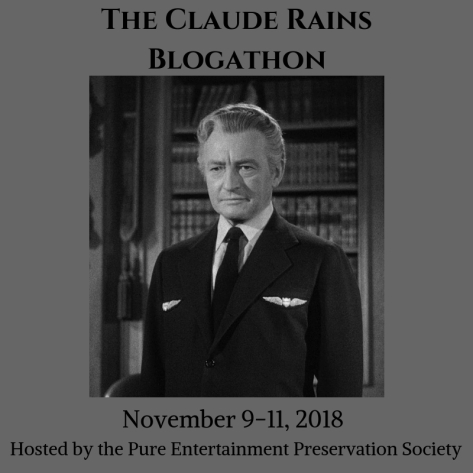 On a remote island observation post, Fred (Umberto Orsini) and his girlfriend, Eve (Maya Brent) make plans to transfer to the mainland, not only so they can get married, but also so they can get out from under the thumb of the head of operations on the island, Professor Benson (Claude Rains). There are not many people on the island who actually like working with Professor Benson because he is pretty much an obnoxious twit, someone who thinks he is smarter and better than anyone else in the world. Claude Raims is almost virtually unrecognizable in his coke-bottle glasses and uruly (and white) hair. He lives in seclusion, even on the remote island that has a half dozen or so fellow scientists working. Somewhat derisively referred to as "the Old Man" by his felolow scientists, he lives in a greenhouse away from the rest of the crew. He is wholly dedicated to his god, "calculus" (a study in the field of mathematics, for those of you who may not know). It turns out Professor Benson was right. The object did pass about 95,000 miles away from Earth. Well, not exactly. It comes to a complete stop 95,000 miles away. But then it begins to orbit Earth. And worse it seems to be moving closer to Earth with each orbit. Clearly the planet is being controlled by some alien intelligence. Benson is adamant that the alien planet should be bombarded forthwith with bombs to destroy it before it can cause havoc on Earth, but superior bigwigs decide it must be investigated. 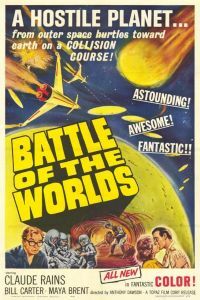 A rocket ship sent to investigate is destroyed by a horde of flying saucers. THe saucers, being computer controlled, may have a flaw that can be exploited however. (Sounds vaguely familiar, huh? Maybe the writers of Independence Day saw this movie before they wrote their script.) The devil is in the works however, when it is discovered that the alien race that has been running the system have long been dead. The planet and it's invasionary tactics have been running on remote control. This is not the worst movie I have ever seen (I doubt anything will ever surpass Teenage Zombies for that role). 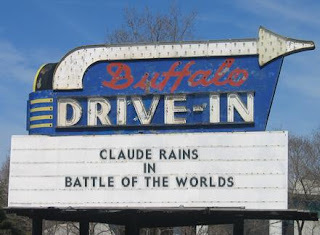 It is, however, probably the worsst movie of Claude Rains' illustrious career. It has some good parts in it, but the special effects ar pretty lame, although we can't fault that too much. It is not Hollywood big budget stuff, it's an Italian film. As anyone who has watched a few Spaghetti Westerns outside of the Clint Eastwood/Sergio Leone niche knows, Italian movies can be iffy. Time to fire up the jet engines (I wish) on the old Plymouth. Drive home safely folks. This is a good, informative article. 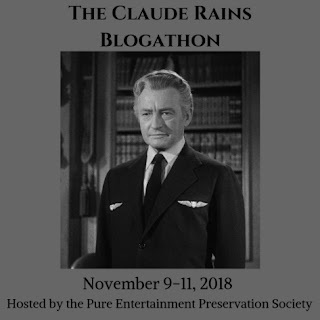 I don't know much about this film, but I have seen a few pictures from it and I agree that Claude Rains is very hard to recognize in it. This is unusual, since he is usually very recognizable, despite the fact that he usually has a different look in every film. In my case, he might be hard to recognize since I haven't seen a movie with him after 1946. 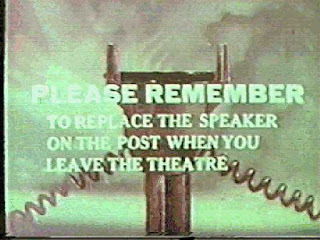 Thank you for participating in my blogathon. I really appreciate your participation. I will add you to the roster immediately. I didn't quite know what to expect when I watched it. 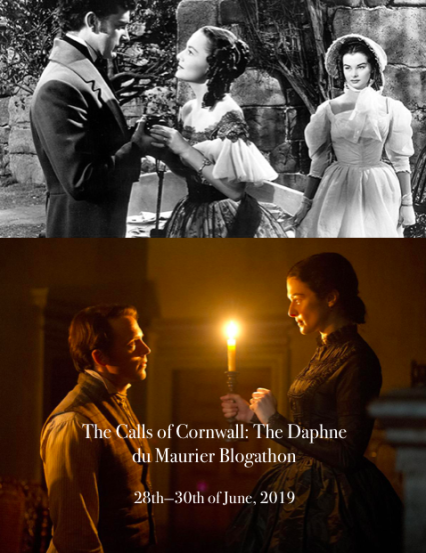 If I only joined blogathons with movies I'd seen already, I would be severely limited with some actors and actresses since all the popular ones are usually taken by the time I run across the announcement. 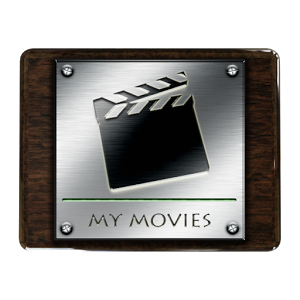 But even bad movies give me an outlet to write on. thanks for reading. 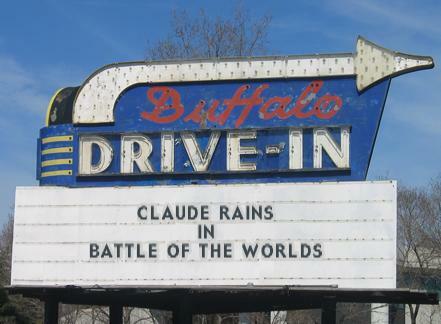 Yes, this film is a sad career-ender for Claude Rains. 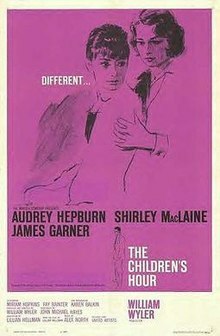 I saw it, many years ago, but I didn't get much out of it. 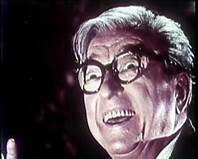 I kept thinking, CLAUDE RAINS IS IN THIS MOVIE! Now that I've read your review, I'll have to see it again. They can't all be gems. Luckily some actors get these duds either early or mid-career, though. Thankfully John Wayne's worst movie (The Conqueror) happened before his career started winding down. Thanks for reading.